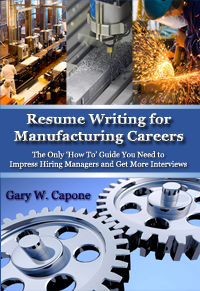 Get step-by-step instruction to help you write your resume, with advice tailored to manufacturing careers. Learn how to stand out from the competition. The job market is competitive. You know you will be competing against professionals with more experience, more skills and a better education. How can you land a job in this climate? The truth is your experience, skills and education are only part of the equation. You need to be competitive with what you bring to the table, but you don't have to be the best. The person who gets hired will be the person who best communicates their potential to succeed and contribute to the company. The most talented candidate who can't sell his potential will usually be beaten out by a less qualified candidate. Regardless of your competitive position, learning to market your potential better will help you gain an edge. Palladian offers a variety of resources to help you learn the skills to make your job search successful. Resume Best Practices: Our website offering original data driven best practices on resume.